It's time "for women to go to Washington to fix our broken government, and that includes a woman at the top," the Democratic senator said. HOLYOKE, Mass. — U.S. Sen. Elizabeth Warren says she'll take a "hard look at running for president" after the November elections. The Boston Globe reports the Massachusetts Democrat spoke about her future during a town hall Saturday in western Massachusetts. 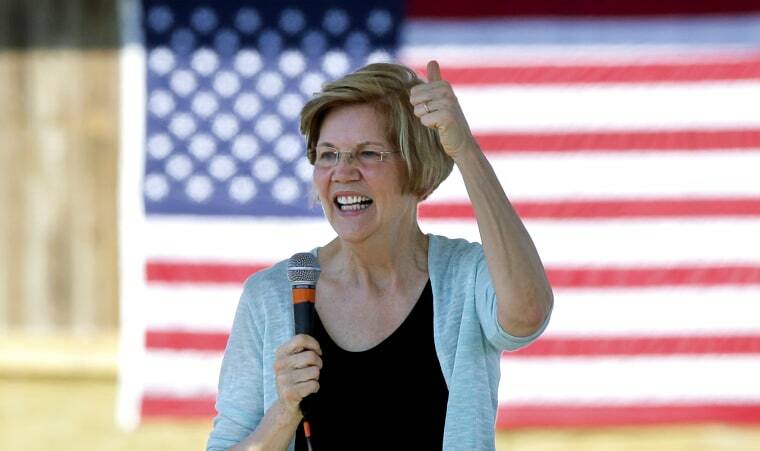 Warren, a frequent critic of President Donald Trump, is running for re-election in November against GOP state Rep. Geoff Diehl, who was co-chairman of Trump's 2016 Massachusetts campaign. She has been at the center of speculation that she might take on Trump in 2020. Saturday afternoon's event in Holyoke was her 36th meeting with constituents using the town hall format since Trump took office. An attendee asked her if she planned to run for president. Warren replied that it's time "for women to go to Washington to fix our broken government, and that includes a woman at the top."